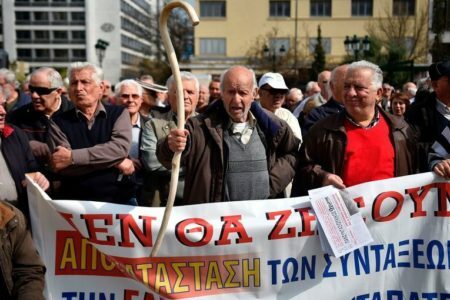 “We live in times when some people write history in their own way,” Foreign Minister Nikos Kotzias said on Thursday in Parliament, responding to statements made by the new European Parliament President Antonio Tajani referring to the Former Yugoslav Republic of Macedonia (FYROM) as ‘Macedonia’. 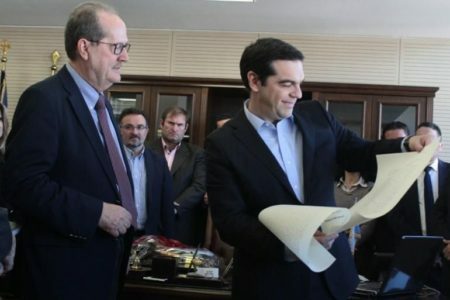 He informed a Parliamentary Committee discussing matters relating to the functioning of the foreign ministry that Alternate Foreign Minister George Katrougalos will be handling the matter and that SYRIZA MEP Dimitris Papadimoulis had already sent a written protest. “From [Prime Minister of Albania Edi] Rama who ‘discovered’ [that the Albanians saved] the Acropolis and that Ali Pasha was responsible for the revolution of 1821, to the new president of the European Parliament. History is a battlefield and should be used as a school to teach the mind, not as a prison to imprison it,” he added. During a visit to the capital of the Former Yugoslav Republic of Macedonia (FYROM) last February when he was European Commissioner, Tajani referred to FYROM as ‘Macedonia’ and told an enthusiastic local audience that they were descendants of Alexander the Great and his father Philip.